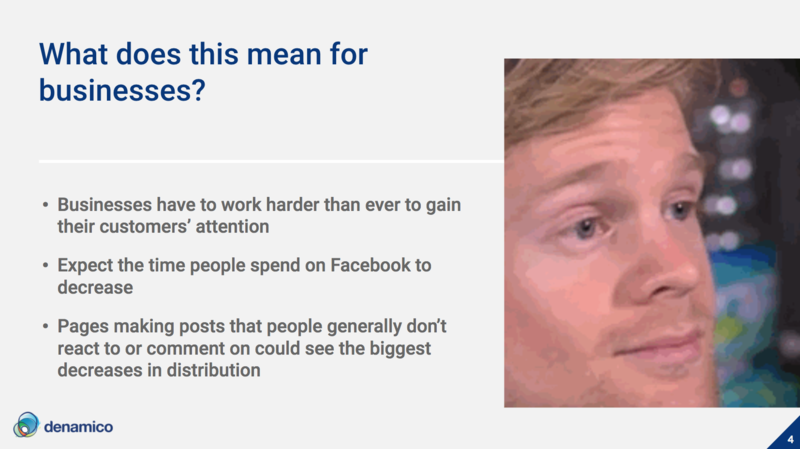 Facebook recently released a new algorithm, aiming to have it's users spend less time on their platform, while feeling more fulfilled. Recently, Facebook announced an algorithm that aims to deliver content to users that they want to see and interact with, while having them spend less time on the site overall. What does this mean for your business? 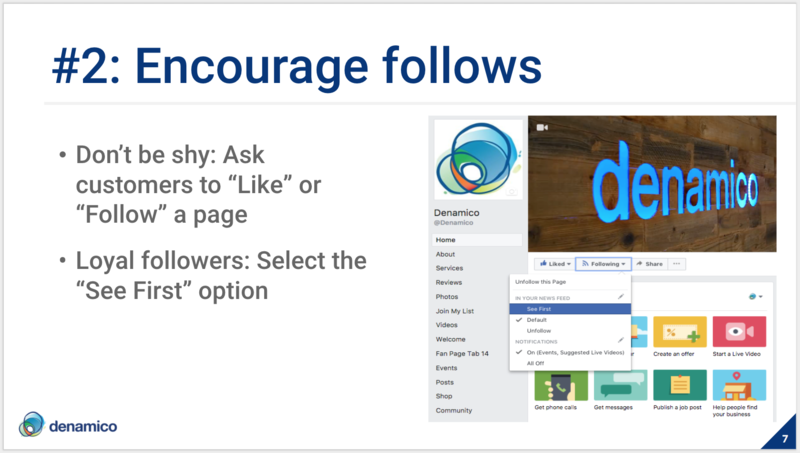 Inbound Marketing Consultant, Kayla Fullington, filled the Denamico team in about the changes and how they'll shift the overall landscape of Facebook. With this new algorithm, how is your business going to stand out and interact on Facebook? Keeping up with the constant changes across social campaigns and inbound marketing can be quite the task. At Denamico, we're always looking for the best way to get you in front of your target audience. Schedule a free consultation today! 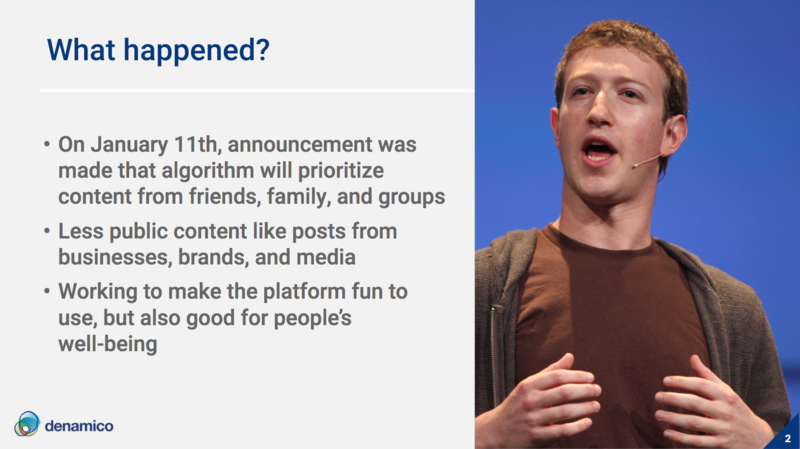 Facebook CEO Mark Zuckerberg announced the social media platform would be changing it's algorithm to show more content from friends, family, and groups in the News Feed. The company is hoping to make the network more fun, encourage interactions, and increase individual morale. As the changes roll out, businesses will most likely see a significant decrease in organic reach. Facebook also believes users will spend less time scrolling through the site, but will enjoy their time more than before. What can businesses do to continue reaching their customers? Post engaging, quality content that's focused on creating conversations between users. 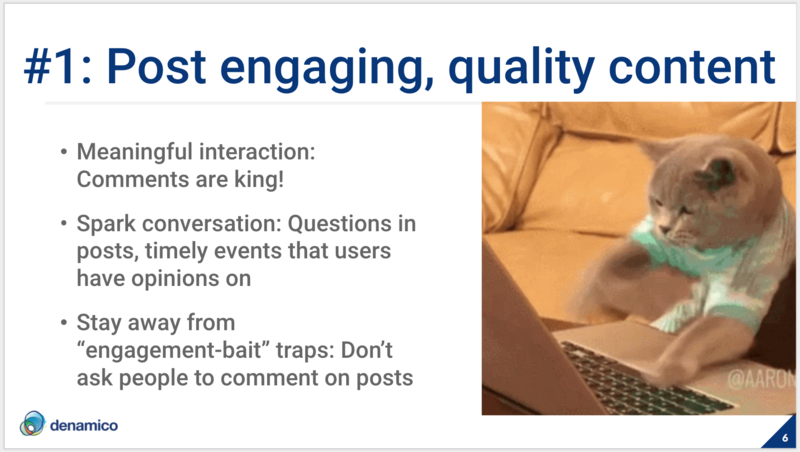 Asking questions in posts or writing about timely, relevant topics that users are sure to have an opinion on is a great way to get people engaged. Businesses shouldn’t be shy about asking customers to follow or like their page on Facebook. If you think someone will benefit from your content, ask for a follow! You can even remind loyal followers about the “See First” option that's available in the news feed preferences. It's no surprise that organic reach has been declining across social media for years, making paid ads more important than ever. 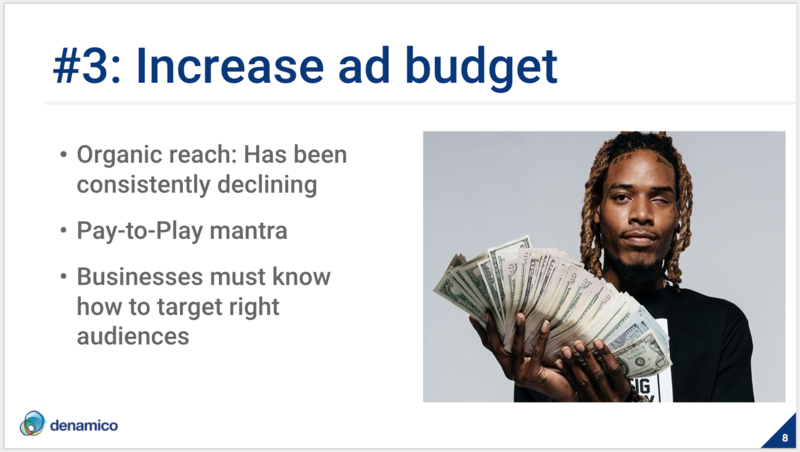 Businesses must know how to target the right audiences with the best message possible to make sure their advertising budgets go further. Videos are still favored under the new algorithm, but live videos will be even more essential. 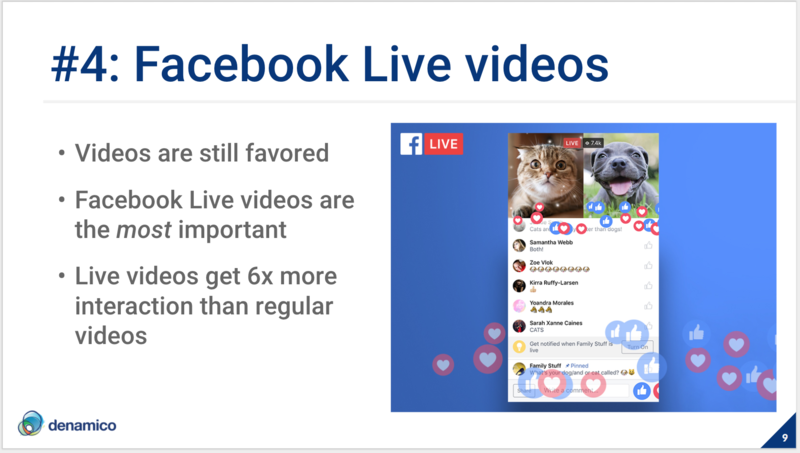 Zuckerberg stated that “live videos often lead to discussion among viewers on Facebook—in fact, live videos on average get six times as many interactions as regular videos.” What are you waiting for? Start a Live video!